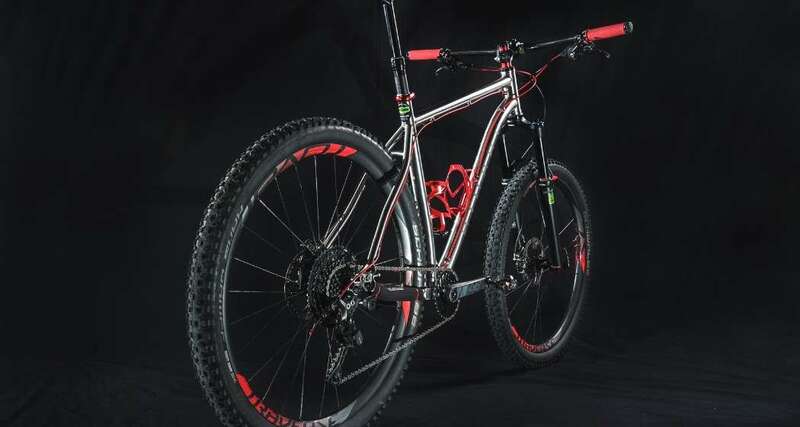 The Kinetik 29er is a big brawny trail brawler that features conventional modern geometry and an open planform for whatever trail adventure you have in mind. This is a bike that goes uphill, downhill, airborne, and camping with equal aplomb! 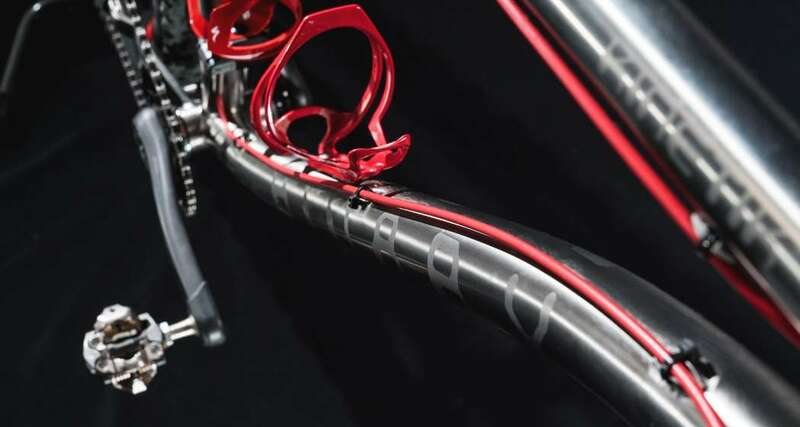 Another versatile Binary Bicycles design, the Kinetik is a fresh canvas for your mountain bike artistry. 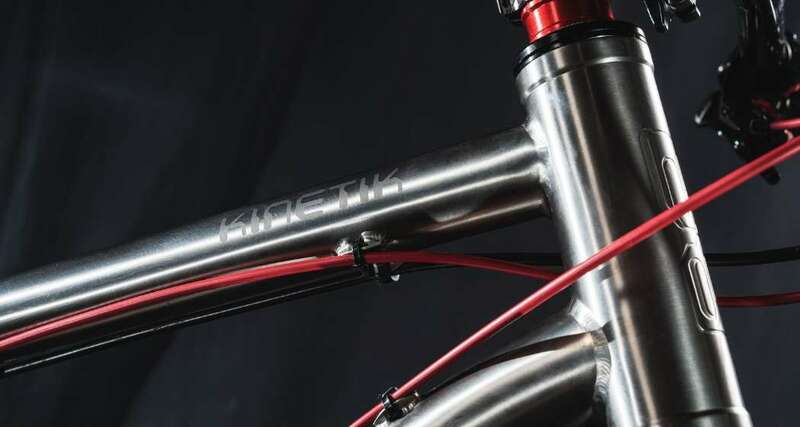 The Kinetik is constructed from strong titanium tubing with sliding dropouts. It has a threaded bottom bracket, a 44mm straight headtube for adaptability, and plenty of bottle mounts for carrying stuff on the frame rather than your back. It can take a large frame bag and wide tires for bikepacking trips, or mount lighter components for quicker duty. Set it up singlespeed (our preference) and crush the climbs! This is a bike that does everything well. It’s an attention-getter on the trail and a bike you can be proud to own! Geometry numbers in millimeters. 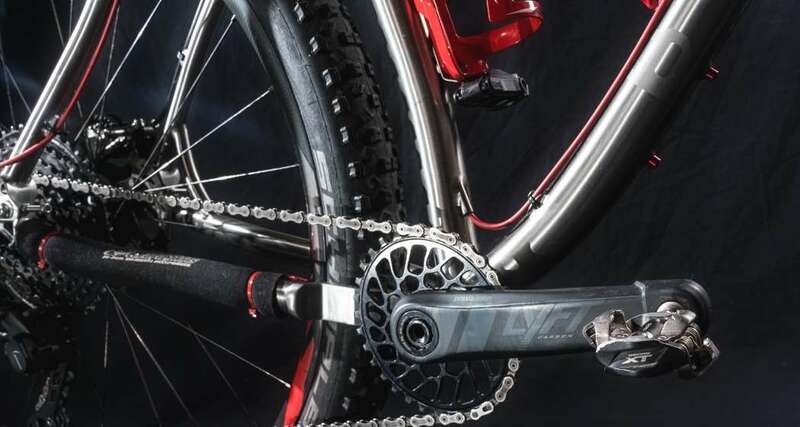 Dimensions are using an unsagged 140mm fork.